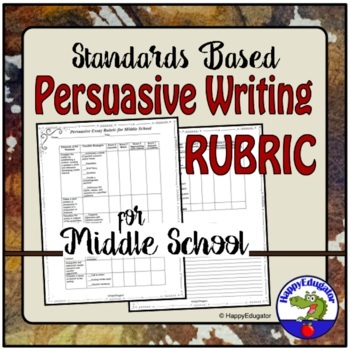 This standards based persuasive writing rubric is a great guide for writing an argument or persuasive essay. 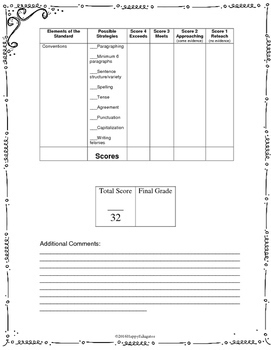 Use to measure students ability to write an argument or opinion piece by persuasively by engaging the reader, stating a clear position, supporting details, excluding irrelevant information or arguments, creating an organizing structure, anticipating counter-arguments, providing closure, and following writing conventions. 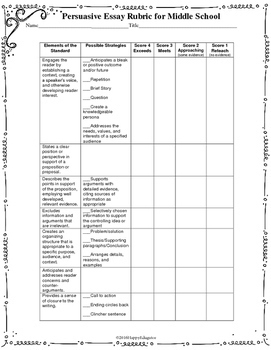 Rubrics is based on CCSS. Supports common core standards for writing an argument.